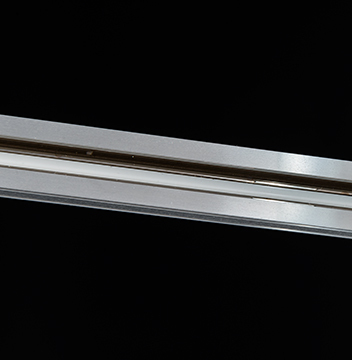 Doesn’t work – there’s no such thing – that was our most important premise in the development of our Axana Line lighting rail system. 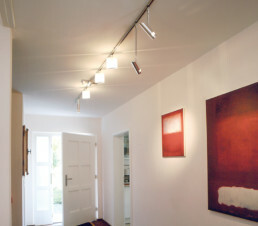 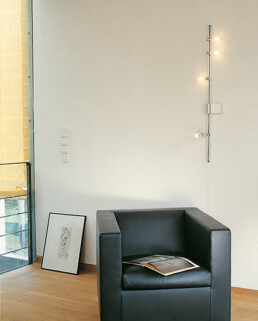 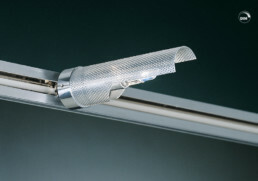 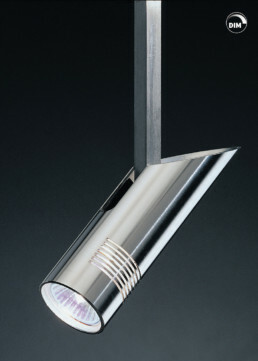 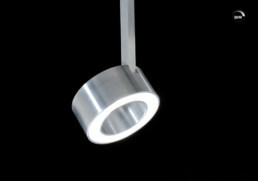 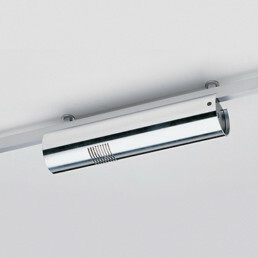 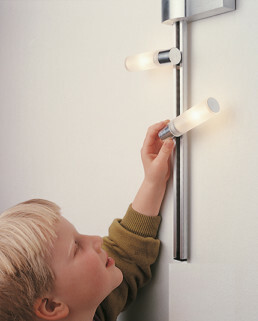 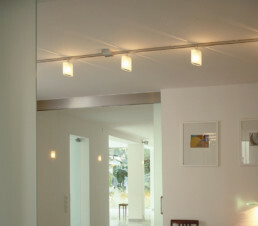 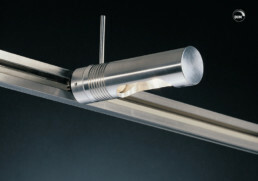 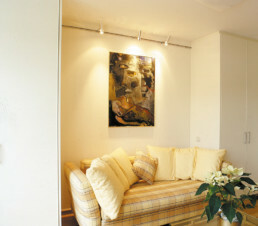 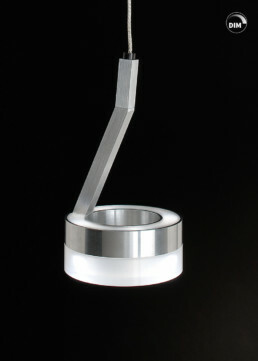 Therefore, on the one hand, the extraordinary flexibility is available when installing the light rails. 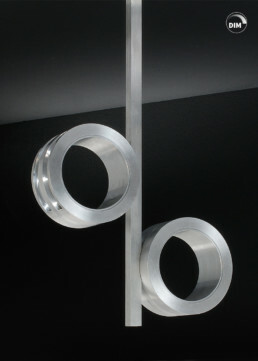 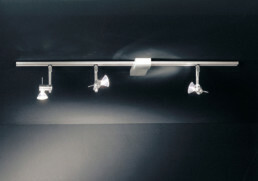 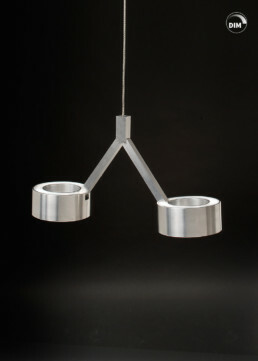 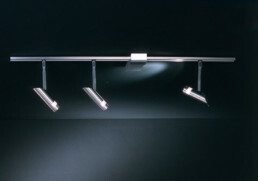 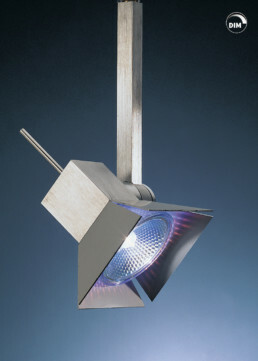 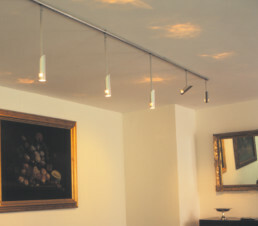 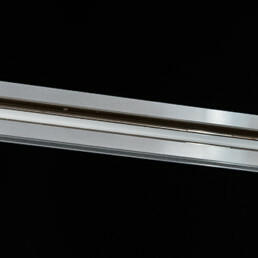 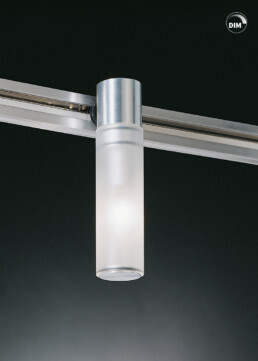 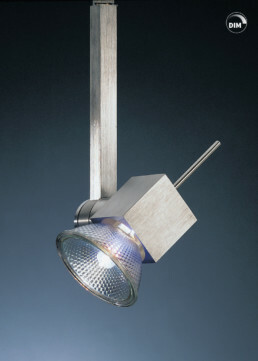 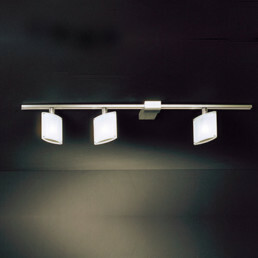 Countless possibilities for connection – even at “slanted angles” or curved according to your ideas – make this rail system so unique for your individual lighting. 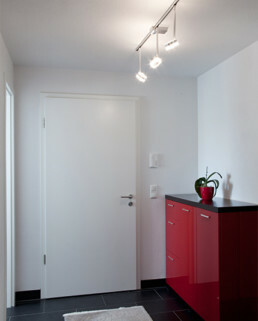 The light rail system is almost infinitely adaptable to your rooms. 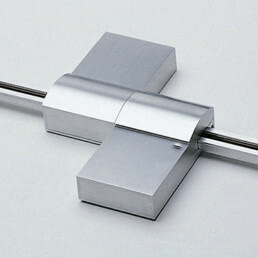 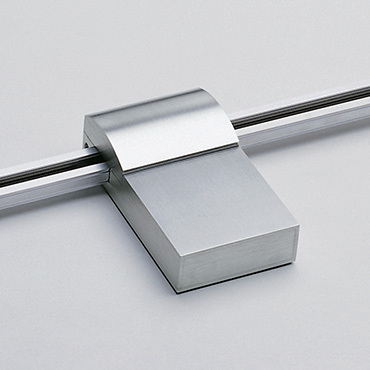 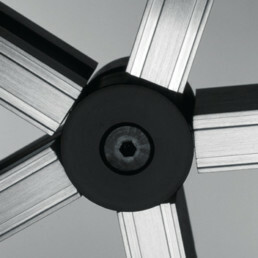 “Doesn’t work” is not true to this motto, the Axana rail system is as flexible as you need it. 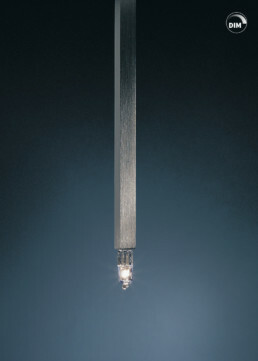 We have patented this. 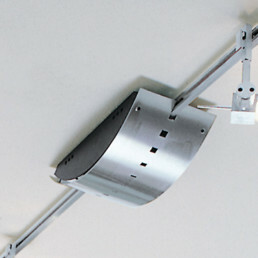 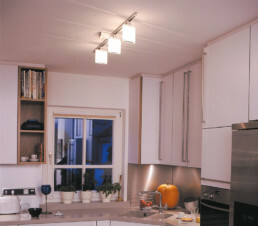 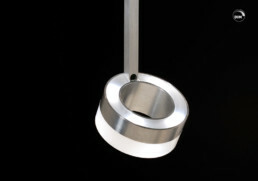 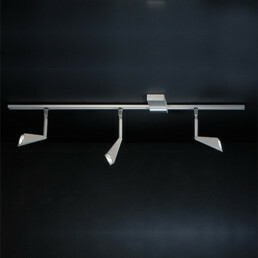 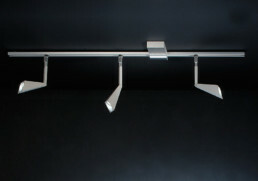 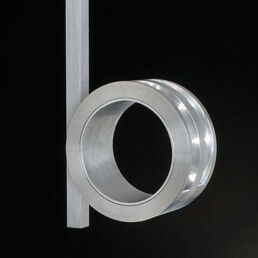 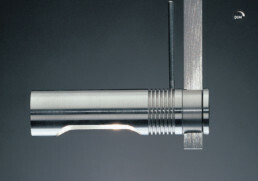 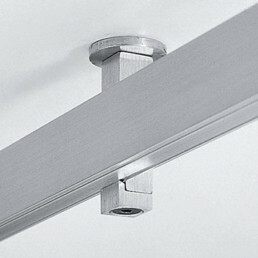 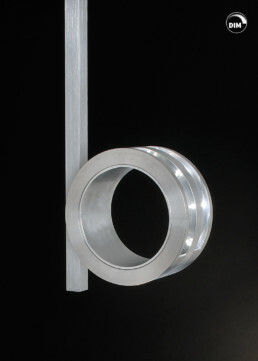 The rails can be mounted upright or flat as required. 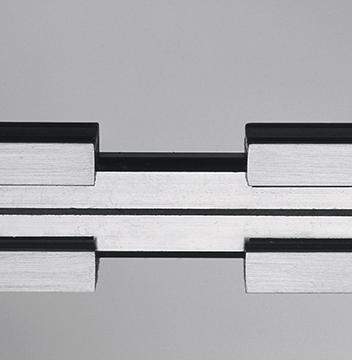 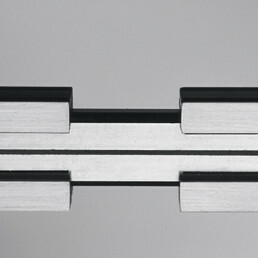 Around the corner, oblique angles, tight curves: The Axana rail makes every movement with the variable connection tools, components and their flexibility. 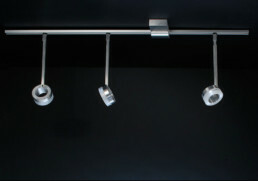 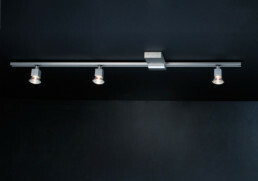 The rails are available in 3 different colors (alu silkpat, white and black). We have designed our transformers so that they fit harmoniously into the aesthetic appearance of your individual Axana concept. 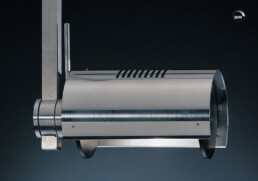 Whether you opt for the extremely flat TSZ transformer, the discreetly round TBZ or the shapely half-cylinder TAZ: You will hardly see the high-powered transformers and above all never hear them. 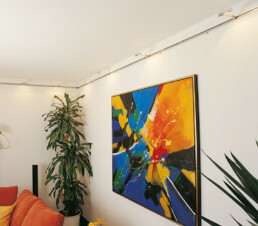 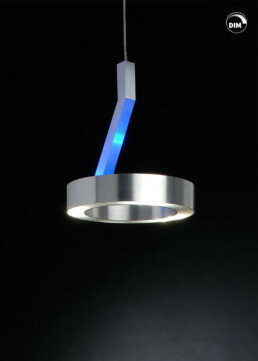 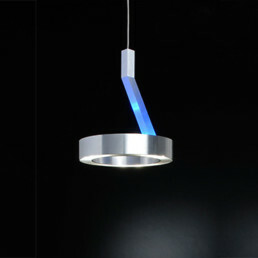 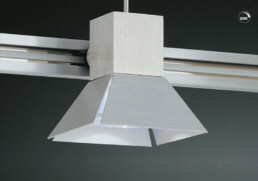 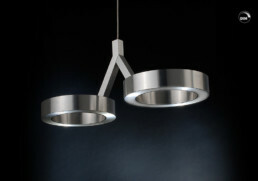 Of course, they are all dimmable, short-circuit proof and secured against overloading. 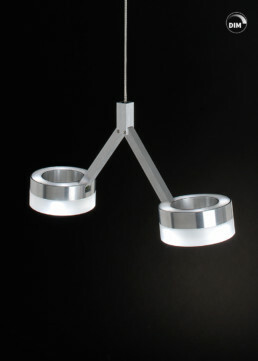 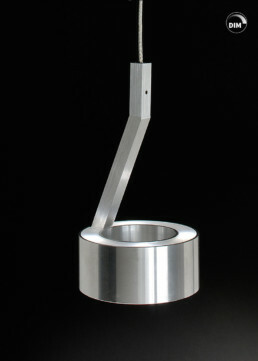 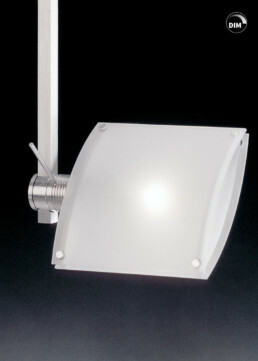 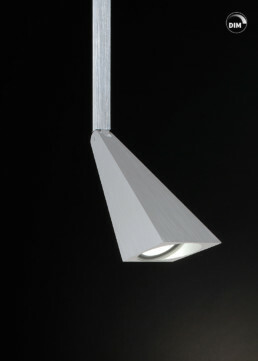 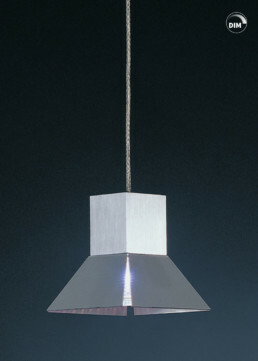 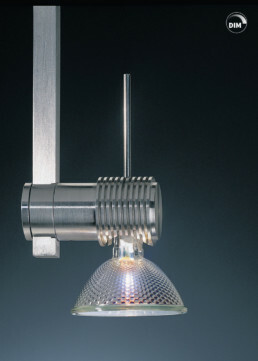 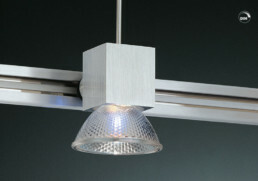 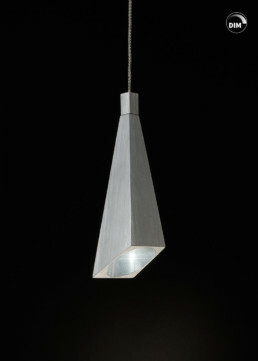 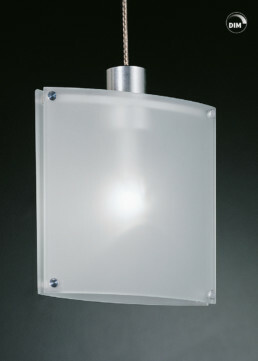 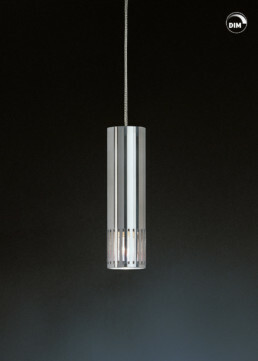 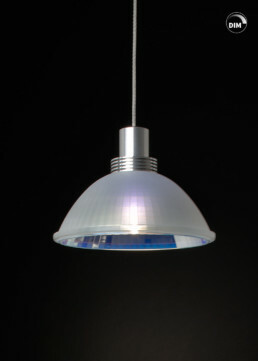 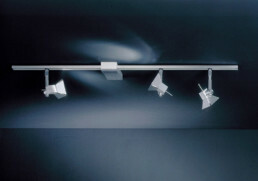 Puristic aluminum luminaire bodies, glass elements or design spotlights: The Axana Line offers a variety of lamps and fixtures that will make your furnishing plans elegant, playful or simply cool. All luminaires can be moved freely in the system rails and, for example, if your interior design style changes, you can expand or redesign, as you like by combining with new Axana luminaires. Another special feature of the Axana Line is the technical feature that allows you to mount the busbar both flat and upright. 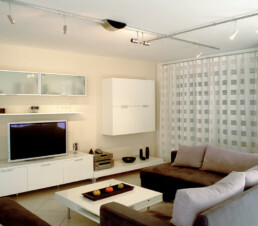 This once again widens your scope for interior design. 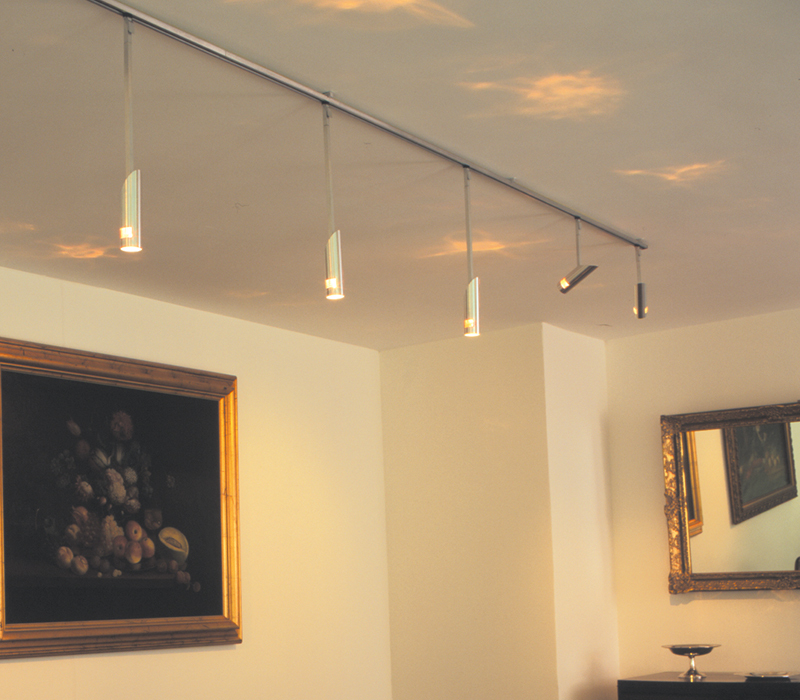 Of course, we have also made a great impact with the lights, spotlights and lamps and a variety that appeals to your creativity. 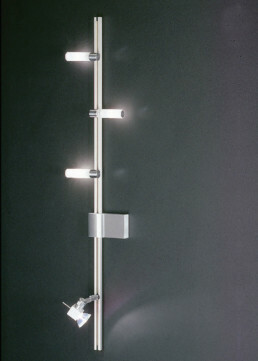 The best thing about the Axana light rails is the ease of use: Each element is very easy to install and later set to a different position. 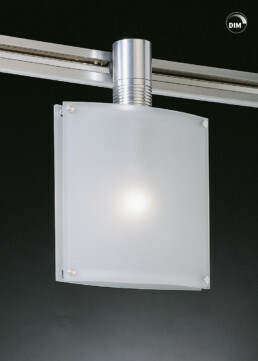 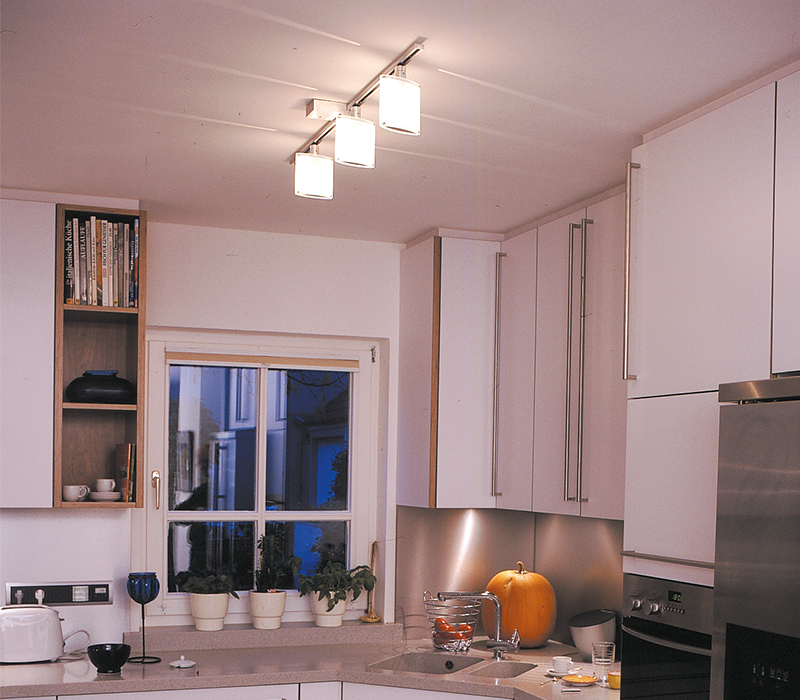 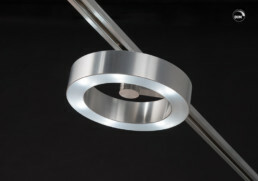 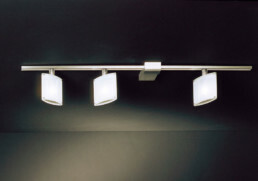 If you need a single “unit” in addition to the halogen or LED rail system, for example to skillfully stage a table, the Axana Line also offers stand-alone ceiling lights that perfectly complement your designer rail system.